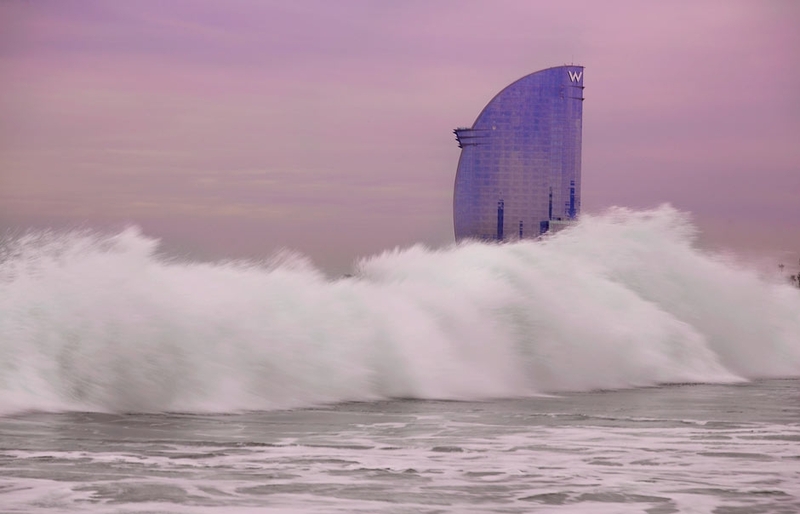 The sleek W Barcelona is a crown jewel in Barcelona’s golden coastline. Its post-modern, 26-storey icon of a building, shaped like a swelling sail, rises above a stunning waterfront in Spain’s most dynamic and stylish city. Designed by Ricardo Bofill, the renowned Catalan architect behind Barcelona El Prat airport’s Terminal 1, the hotel wows with minimalist modern spaces, dramatic avant-garde inspired interiors and wide sea views. Locally known as La Vela (“the Sail”) because of its shape, the building was been inspired by Barcelona’s artistry and exuberance. There is a flavour of the city as soon as you enter the expansive and spectacular lobby: a huge open space with a cube-shaped atrium and a glass roof, a DJ and funky seating, a shimmering water feature and marble sculptures—reminiscent of Gaudí’s statues. The hotel lies in a trendy beachside neighbourhood of Barceloneta at the entrance of the Barcelona’s Port—ensuring stunning views over the sea and the city. The 473 rooms are elegant and relatively plain in design. Kept in neutral tones with splashes of purple and red, all come with good floor space, cutting-edge technology and floor-to-ceiling windows. 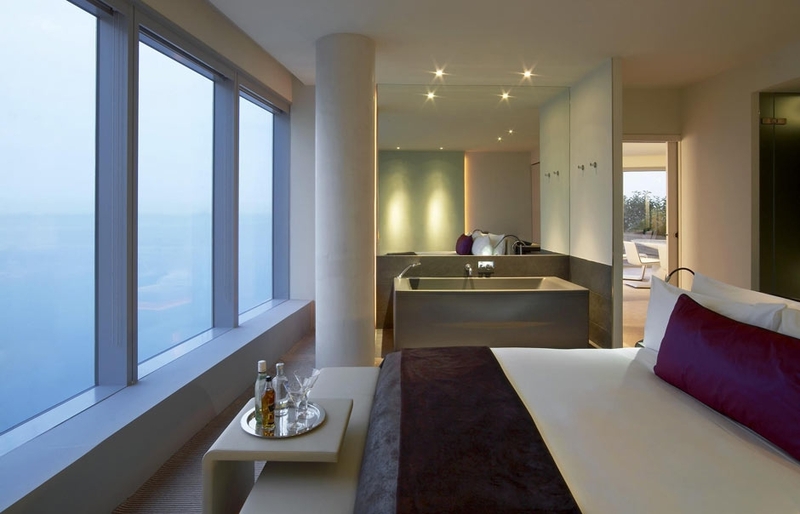 Typically “W” is idiosyncratic approach to room categorization: starting with the Cosy (lower floors) then moving on to Wonderful (standard), Mega (corner rooms), Fabulous (upper floors with beach views), through one and two-bedroom suites with panoramic terraces, to the penthouse Extreme WOW Suite. W has two restaurants: the ground-floor, all-day diner WAVE for casual Mediterranean dishes; while BRAVO24, headed by Michelin-starred chef Carles Abellan’s, is more of a formal fine dining affair. W Bar, located between the lobby and outdoor terrace offers buzzing atmosphere with local and international guests, and the top-floor Eclipse is a sophisticated yet easy-going place with views across the city—and DJs until 3am. Part-relaxing, part-partying vibe reigns at the outdoor, sun-soaked WET bar overlooking the beach, with a 20-metre pool and loungers, cabanas and loud music. After all the partying, the 700 sq m Bliss spa will provide some top-notch pampering in its eight treatment rooms, relaxation areas, a steam room, sauna and spa bath. Fresh ginger scrubs, oxygen masks can be enjoyed with flutes of Champagne and chocolate brownies. With an easy access to the beach, youthful approach and buzzing on-site nightlife, this hotel has established itself as one of Barcelona’s coolest new spots. 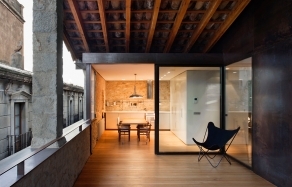 Visually a stunner, in and out, W Barcelona is an excellent addition to the city’s hotel scene. W is unbeatable for all those seeking a glamorous beach vacation—but maybe less ideal for sightseeing. 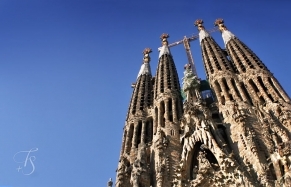 The hotel is just steps from the sand but a fair walk to popular areas such as La Rambla. The suites with a bath facing out: watch the sunset as you soak! Bliss spa with the brand's signature touch of a sushi-style conveyor belt at the nail bar. It takes 30 minutes by car from Barcelona International Airport to reach the hotel.